So you’re thinking about taking the plunge, living the dream and purchasing your own Napa Valley vineyard estate. Congratulations, it is an amazing place to live. When it comes to wine, based on all the media, reviews and other hoopla you couldn’t be blamed for thinking the Napa Valley is a one trick pony… Cabernet Sauvignon. Cab is king, Cabernet is expensive, Cabernet Sauvignon is oh so good. To be sure, Cabernet is not the only premium wine grape that grows in the Napa Valley. Surrounding mountains, nooks, crannies and off the beaten path hideaways provide perfect growing conditions for high-end vineyards. Does that sound surprising? It shouldn’t, because the Napa Valley has all the right ingredients to produce any number of varietals at a world-class quality. So you are considering your future vineyard estate; there is the setting, the view, of course a lovely home and last but not least the vineyard. The question surfaces, will my future vineyard only consist of Cabernet Sauvignon? While Cabernet Sauvignon is the most popular and pays top dollar, currently at $7,500 County Avg / ton, it is good to know that you can have other varietals in your vineyard too. When considering locations the Napa Valley is probably one of the more straightforward regions as far as micro-climates go. Perhaps oversimplified but useful the temperature goes from cool to warm to hot as you move north through the valley, from Napa to Calistoga. This is not to say that there is a lack of distinct nuance throughout the valley, bench lands and mountains. But, for our purposes today it basically goes from cool in the southern Carneros region just outside the city of Napa to hot up in Calistoga. The Carneros Appellation sits near the cool waters of the San Pablo Bay. The marine influence is strong here. This climate is perfect for white varietals like Chardonnay and lighter reds like Pinot Noir. Both still and sparking wines (our version of Champagne) dot the flat to rolling hills of Carneros. 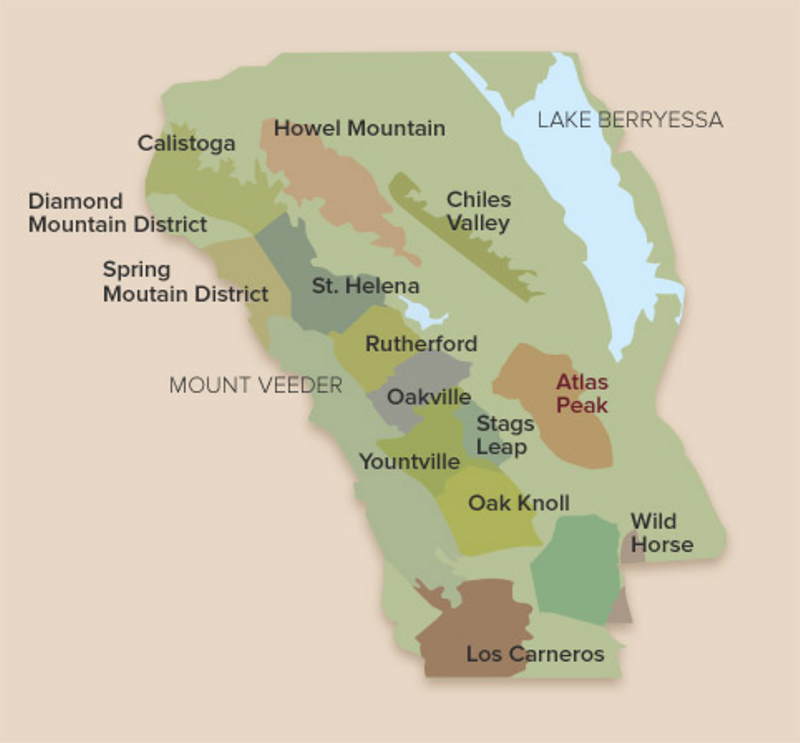 Moving a little further north towards the Oak Knoll Appellation the temperature picks up a few degrees and you start to find a mix of varietals including Chardonnay, Merlot, and even a relative new comer to the area… Cabernet Sauvignon. Up valley beyond Youtville into Oakville, Rutherford and Saint Helena, this part of the valley is mostly known for you guessed it ultra premium Cabernet Sauvignon. However just above Saint Helena grows not so much a secret but more of surprise in small coveted amounts, world class Pinot Noir . On the slopes of the Mayacamas Mountains small cool pockets at elevation within the Spring Mountain AVA provide for unique growing conditions for this cool climate red. Over on the other side of the Napa Valley on Howell Mountain (also know for cult quality Cabernet) grows an old California favorite, Zinfandel. Fun Fact: The Howell Mountain AVA was the first sub AVA created within the Napa Valley AVA back in 1983. Back before prohibition, the region was mostly known for Zinfandel. Then we go all the way to the northern and hottest part of the valley, Calistoga. 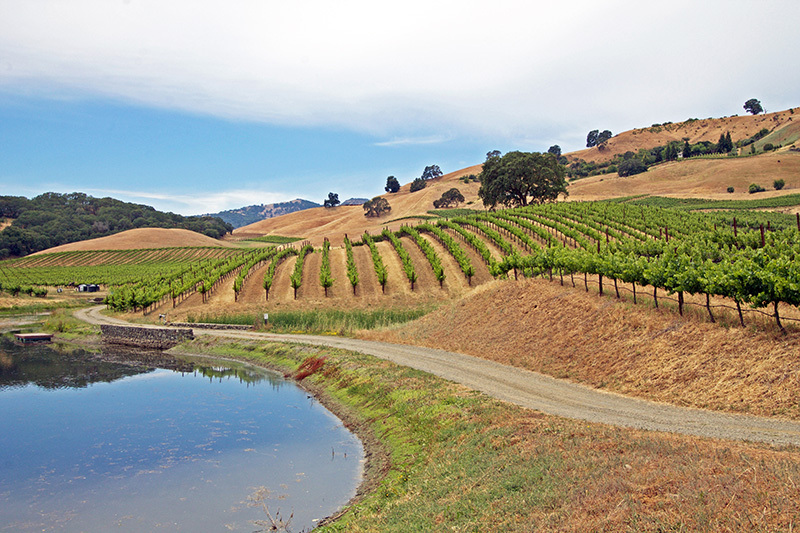 You guessed it, this part of the Napa Valley is also known for premium Cabernet Sauvignon. But don’t fret, many other varietals grow in the region including Petite Sirah, Zinfandel, Cabernet Franc, Merlot Sauvignon Blanc etc… And for the record most of these varietals along with many others grow throughout the entirety of the Napa Valley. Long story short, if you want to grow premium Cabernet Sauvignon in your vineyard it is hard to go wrong in the Napa Valley. But if you want to mix things up a bit, the valley and surrounding mountains will produce world-class wines grapes from just about any varietal. The Napa Valley is just that kind of place and far from a one trick pony.